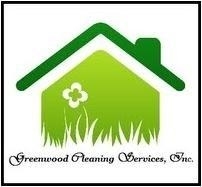 About us - Greenwood Services Inc.
“I don’t have time. I have to clean the house”. Sound familiar? Here are more important reasons you should let our company be your solution. 2. We do it your way. No two households are exactly the same even if identical in size and layout. We first visit your home to determine your specific needs. Together, we’ll determine how best we can meet your needs and expectations. 3. Responsible and supervised personnel. Our house cleaning staff is screened, professionally trained, covered by workers compensation insurance. Our company is Family owned and operated. 4. We bring our own equipment and cleaning supplies. You actually get to stop having to buy all that “stuff” that takes up space under the sink, Your laundry room, and garage or wherever you store your cleaning supplies. We always bring our own professional cleaning products every time. We use professional cleaning tools, equipment, materials and cleaning supplies that are effective, efficient, safe and environment-friendly. 5. We visit. We don’t move in! We will spend the necessary time and effort on our first cleaning visit to get rid of all the “old” dirt, dust and grime that may have been accumulating for a long time. Think of it as a “spring cleaning.” However, because we work in teams and use efficient cleaning methods, when we come to clean your home each week, or every other week, we wont be in you home (or your hair) all day. We will work with you to develop a schedule to suit your individual needs. If you’re not 100% satisfied simply call us by 11 a.m. the next morning and we’ll re-clean FREE! We aim to provide a high standard of service that includes reliability. When we make an appointment to clean your home we keep it. We aim to provide peace of mind. When you let strangers into your home you want to be sure that they are honest and trustworthy.In a relatively young industry, Greenwood Cleaning Service Inc. management has provided consistent and superior service through 9 years. We back our work. We care, treating each home gently (as if it were our own) giving it the best possible cleaning. So come along and join the rest! The benefits and good feelings are indescribable. Give yourself the gift of Freedom from housework. At the same time we care about the environment for this reason we provide our services with NO TOXICS products to keep you and your family safe from the traditional cleaning products. established in Columbia, MD in 2001. House cleaning, carpet cleaning and our famous Move In/Out cleaning packages. Greenwood Cleaning Service Inc. are supervised throughout the time spent in your home and we use a key security system for the times we are not there. There is no contract to sign. Your cleaning appointment will be reserved especially for you. If you are ever less than completely satisfied with Greenwood Cleaning Service Inc. call us within 24 hours and we will gladly remedy the situation FREE OF CHARGE.